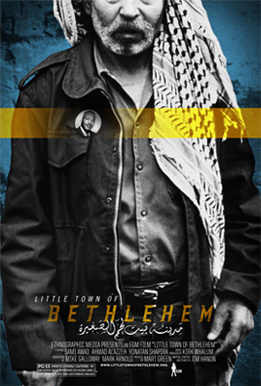 Don’t miss this opportunity to hear Palestinian Christian Sami Awad, executive director of Holy Land Trust and one of the subjects of the award-winning documentary Little Town of Bethlehem. He will be at St. Luke’s Lutheran Church, 3215 Four Mile NE in Grand Rapids, MI (MAP) on Saturday, September 15, at 6:30 p.m. Food and refreshments will be provided. Anyone can attend this free, casual event. Sami’s father is Bishara Awad, founder and president of Bethlehem Bible College. At home in the West Bank, Sami actively promotes and engages in nonviolent activities to peacefully end the occupation and bring justice and equality to all. Globally he speaks on peace and nonviolence to various communities, with political and religious leaders, and in many different countries.